It's always hard to pick out three cars from over a hundred classics, exotica and supercars, but we'll do our best. This month we'll focus on some of the newer cars, all in exceptional condition and ready to head out for the Easter holidays. This beautiful black Continental GTC is just right for the optimists who think they'll be able to get some top-down wind in the hair motoring in the UK. Perhaps a better bet will be to cruise the autoroutes, autobahns and autostradas this summer. Either way, this gorgeous beast, a 2017 model with only 3,000 miles on the clock, will transport you at speed, in complete style, with its uprated 'S' version of the 4-litre V8 engine. This virtually new car is the perfect blend of muscle and grace is on sale at £144,950. Mercedes' new sports car is aimed fairly and squared at the Porsche 911. It's a smaller car than its SLS stablemate but no less exciting and capable, it's perhaps better suited to some of this country's more confined roads. The AMG GT was launched last year and this particular car is the more potent 'S' version. It comes in brilliant blue metallic with a huge list of options making it easy to cope with today's traffic. It's only recorded 14,200 miles and could be yours for £83,950. We also have a superb example of Aston's iconic V12 Vanquish in deep black with matching black leather and piano black interior detailing. A 2013 model, it's done 13,700 miles so the 6-litre engine is hardly run in. Costing just £109,950 it comes with up-to-date gadgets like satellite navigation and still delivers the quintessential driving experience that's made this make of vehicle so desirable over the years. We hope you've enjoyed our selection for this month. To take a look at these or any other cars, come and see us in Penn. 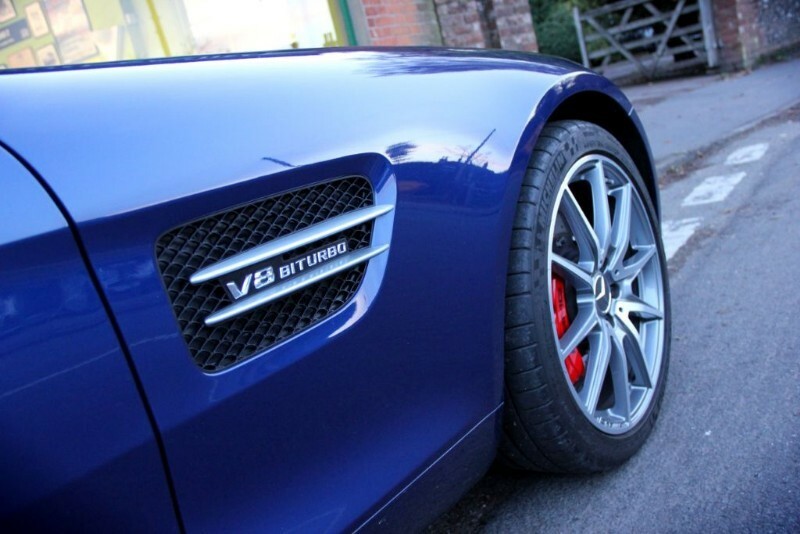 It's worth phoning first though, to make sure we have the cars you're interested in at the showroom.